Much like in my previous review of a Stash tea (Earl Grey), I like the box. It’s simple, has all the necessary information (for me that would include the ingredients), and it’s card stock so it can be tossed in with the recycling when I’m done with it. I like Stash because it’s a fairly inexpensive brand, as far as teas go. I got my box of Premium Green when it was on sale for 2 boxes at $5. Stash has a pretty wide selection of teas that I still want to try (but don’t quite have the storage space for all the boxes that would entail). 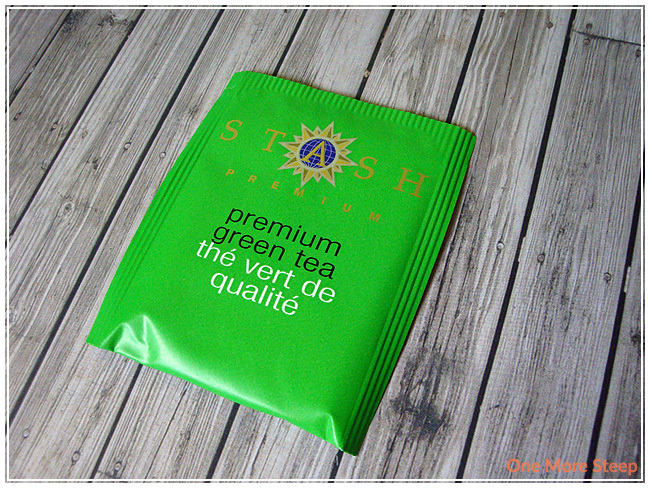 Premium Green comes in a box of 20 sachets (40g total), which means each tea bag contains 2g of tea. The ingredients are simply titled a “select blend of green teas”. Each sachet is in a simple foil-lined wrapper and each tea bag comes with a handy string and tag in case you forget what you’re drinking. The dry tea bag itself smells a bit salty to me, and a bit like grass. It’s not terribly off-putting, mostly because it reminds me of a Japanese sencha. Stash recommends that you “brew for 1-3 minutes” with no mention of water temperature. Their website states to steep in 170-190°F (77-88°C). I steeped my Premium Green in 80C water for about 2 minutes. Premium Green steeps to a really pretty yellow colour. It has an aroma that reminds me of freshly cut grass and has this salty quality to it that reminds me a lot of seaweed (if you’ve ever had dried seaweed snacks or been to the beach, you know the smell I’m referencing). The taste itself is enjoyable. There’s a slight astringency that leads to a nice little bit of mouth puckering when sipping this tea. There is also a very grassy quality to the taste of Premium Green itself. The saltiness in the aroma isn’t off-putting when it comes to the mild saltiness in the tea itself. There was a bit of sediment at the bottom of my cup that is likely just the tea dust from the outside (or inside) of the tea bag. I attempted to resteep Premium Green, but it doesn’t resteep well and I would not recommend it. 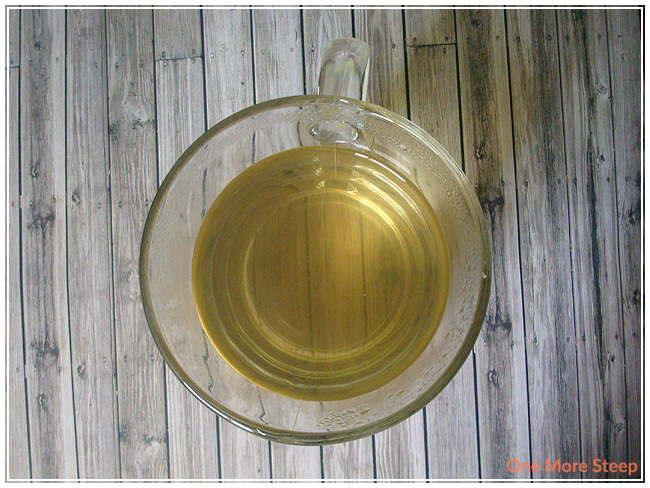 The resteeped tea is very watery and tastes nothing like how the tea should taste. 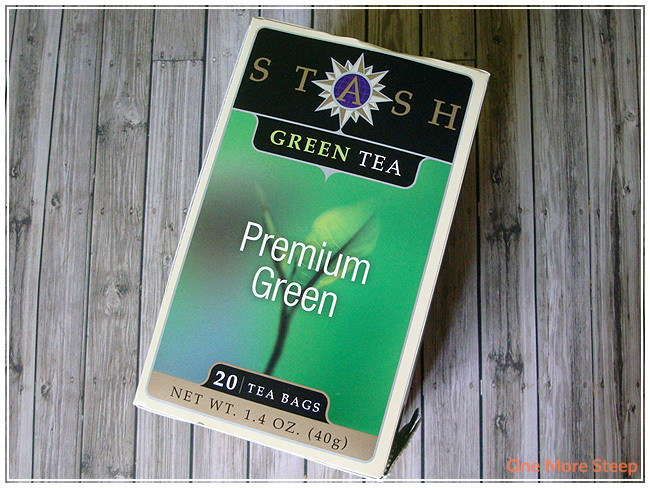 I liked Stash Tea Company’s Premium Green. It’s a fairly inexpensive green tea with a great flavour profile if you’re looking to branch away from the every-day jasmine green tea (not that I don’t still love jasmine!). It works out to be $0.125 per tea sachet, which isn’t bad if you’re wanting to get away from that daily takeaway coffee habit (or if you’re just looking for an inexpensive tea to stash away at work). It’s an interesting tea because of the flavours that remind me a lot of sencha, and it makes a bold cup of tea. I really like the fact that it’s readily available – Stash is available in a lot of major grocery shops which makes it a bit easier to find. I would have given Premium Green four cups instead of three if it had resteeped at least once at a decent flavour – I think for something that claims to be “premium” that it should be able to handle being resteeped as all good quality teas can be.